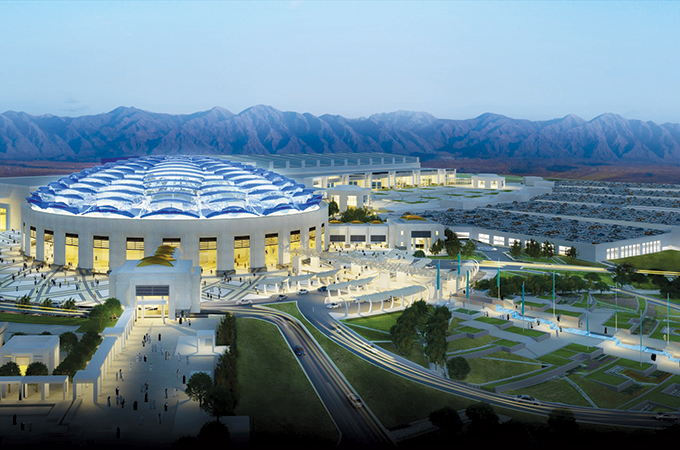 The Sultanate of Oman is gearing up to host the Second UNWTO/UNESCO World Conference on Tourism and Culture on December 11 to 12 at the Oman Convention and Exhibition Centre, ending this year on a positive note. The event is among the highlights of the annual calendar of activities in the International Year for Sustainable Tourism Development. The hosts are expecting 60 ministers of Tourism and Culture, and CEOs from some of the world’s leading organisations. More than 150 countries, and 300 delegates are expected to participate. The first day’s program will include an official opening ceremony, which will witness the presence of ministers, dignitaries, as well as the heads of tourism and cultural entities from the participating countries. The day will include key-note addresses by Ahmed Bin Nasser Al Mahrizi, Minister of Tourism, Dr. Talib Al Rifai, UNWTO secretary general and Irina Bokova, director-general of UNESCO. Apart from this, the day’s proceedings will also include – a ‘Ministerial Dialogue on Tourism, Culture and Sustainable Development’, followed by a press conference. A discussion session on the theme of ‘cultural tourism and its role as a peacemaker’ is scheduled as well. The second day’s programme has been divided into four main aspects – ‘tourism development and preservation of cultural heritage’, ‘culture and tourism in urban development and creativity’, ‘discover the natural cultural destinations in tourism’, and ‘achieving the objectives of the United Nations Plan for Sustainable Development 2030’. This will be followed by a final summary of the Second World Conference on Tourism and Culture.